What are the best Fiji films? Find out here with the Top 10 Movie Fiji List. Discover some of the best flicks ever to have been shot in Fiji. 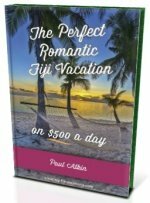 Fiji's breathtaking scenery is a drawcard for film companies, particularly Hollywood, to shoot their 'island paradise' scenes. 1. The Land Has Eyes (2004) -The first, and only to date, wholly Fijian made film with entirely a Fijian cast. Directed by Vilsoni Hereniko, the story follows a young girl growing up in Rotuma. 2. No.2 (2006) - Although not shot in Fiji, the story is about a Fijian Matriarch and her extended family living in suburban Auckland, New Zealand. 3. Boot Camp (2008) - was the first film to utilise Fiji's incentive program designed to create jobs in Fiji while establishing a film production infrastructure. 4. The Blue Lagoon (1948 & 1979) - This well known motion picture was filmed in the Yasawas orginally in 1948 then remade again there in 1979. 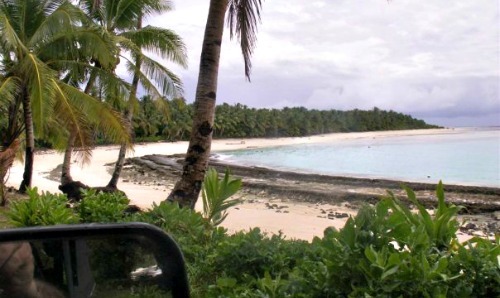 Return to the Blue Lagoon (1992), the less popular sequel, was filmed in Taveuni featured actress Milla Jovovich. 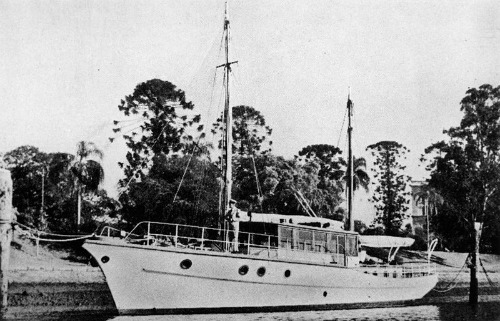 The 'Viking Ahoy' ship used in the 1948 Blue Lagoon film. Today her wreck lies on a reef in Suva Harbour. 5. Cast Away (2001) - Possibly the most famous film ever filmed in Fiji starring Tom Hanks. The location was Monuriki Island in the Mamanucas. It's so popular now because of the film, every resort worth it's kava organises day trips to this tiny uninhabited island. 6. Contact (1997) - Starring Jodie Foster, it too was filmed on Monuriki. 7. Mr. Robinson Crusoe (1932) - The earliest known film to be shot in Fiji. 8. The Dove - (1974) - Gregory Peck produced film shot predominantly in Suva. 9. His Majesty O’Keefe (1953) - Starring Burt Lancaster, it was also shot in the country's capital. 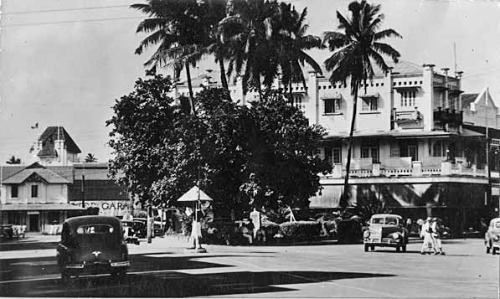 A picture from around the 1940's and 50's in Suva, Fiji. Around the time His Majesty O'Keefe would have been filmed. 10. Savage Islands (1983) - A swashbuckling adventure film where Tommy Lee Jones' character was based on a real-life pirate Bully Hayes, who was roaming the South Pacific until his murder in 1877. Coral Reef Adventure (2001) - A documentary highlighting the declining health of the world's reefs and oceans. Reel Paradise (1992) - A documentary of a film producer who uproots his family from New York and moves to Taveuni. Having a big ethnic Indian minority, thanks to the British between 1878 and 1919, Bollywood is starting to get quite popular in Fiji. Both with Indo-Fijians and indigenous Fijians, with some movies being dubbed in Fijian.